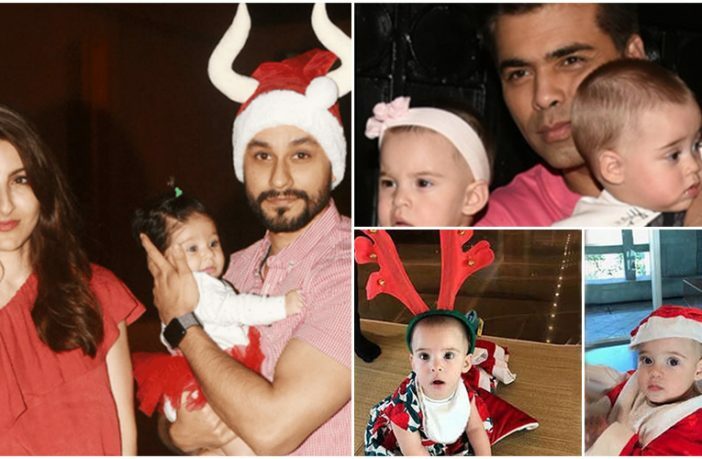 This year Santa Claus has given gifts to many cute babies in Bollywood. 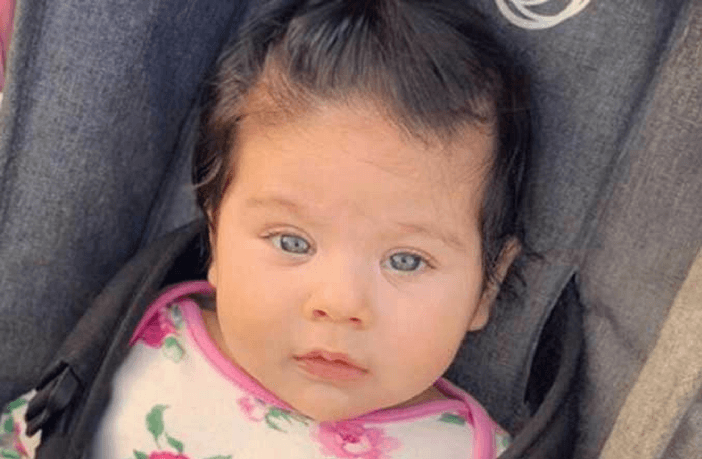 The newest and cutest is Inaaya Naumi Khemu, daughter of actress Soha Ali Khan Pataudi and actor Kunal Khemu. Inaaya is a real beauty to look out. Born in September this year, she has a beautiful face. So, when Kunal Khemu shared her first pic on Instagram on Christmas eve, it was a pleasant surprize for their fans. This was the first ever picture of Inaaya that we got to see and fell in love with it instantly. She does the talking through her innocent grey eyes. What was even more amazing was the stark resemblance between Inaaya and her cousin Taimur (Kareena and Saif’s son)! Taimur just turned a year old last week. 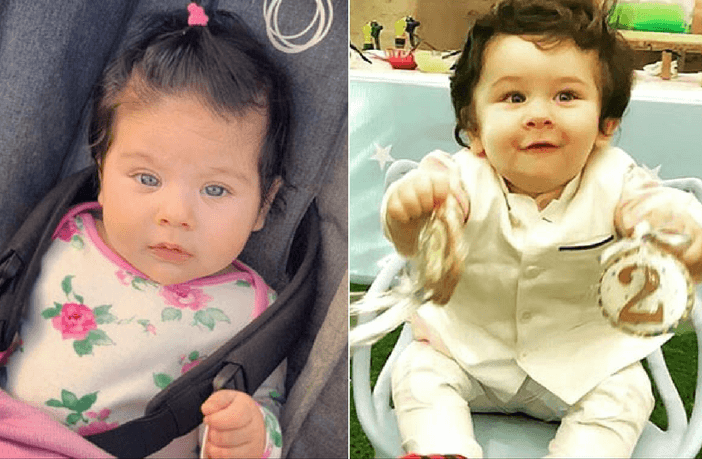 Inaaya and Taimur have the same grey eyes; of course, the color of baby’s eyes change as they grow older. In the first year itself, as the amount of melanin in the iris undergoes changes. The most prominent changes usually occur between the age of 6-9 months. 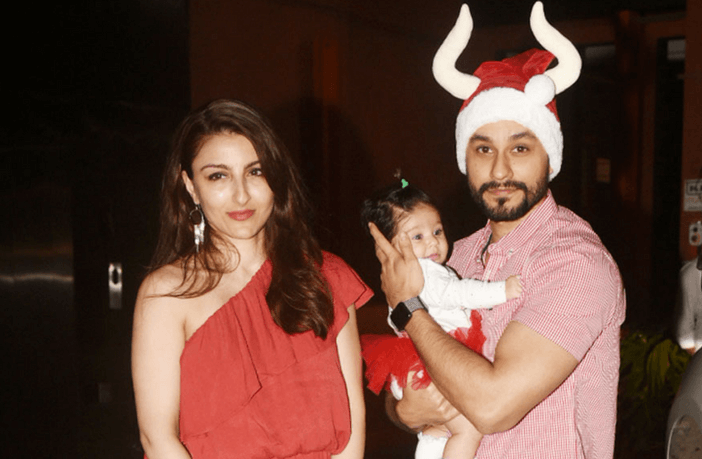 Soha Ali Khan Pataudi, Kunal Khemu and their daughter Inaaya were at Saif’s house to celebrate Christmas and that’s when he shared his adorable daughter’s pic on Instagram. “It’s a Merry Christmas every day when you got the best gift in the world look at you with so much love,” Kunal captioned the picture. Director, producer, actor, anchor, Karan Johar also threw a Christmas bash on Christmas Eve at his residence. Although, the party has various stars – SRK, Ranbir Kapoor, Aishwarya Rai, Abhishek Bachchan, Alia Bhatt, Katrina Kaif, and Sonakshi Sinha, the show was stolen by Karan’s cute kids – Roohi and Yash. Karan became a father in February via surrogacy. Yash is dressed up as Santa and Roohi is wearing a reindeer hairband and the two look absolutely adorable! Salman Khan’s sister – Arpita Khan also hosted a grand Christmas party on Christmas Day. Arpita became a mom in March 2016, when she gave birth to her son Ahil. 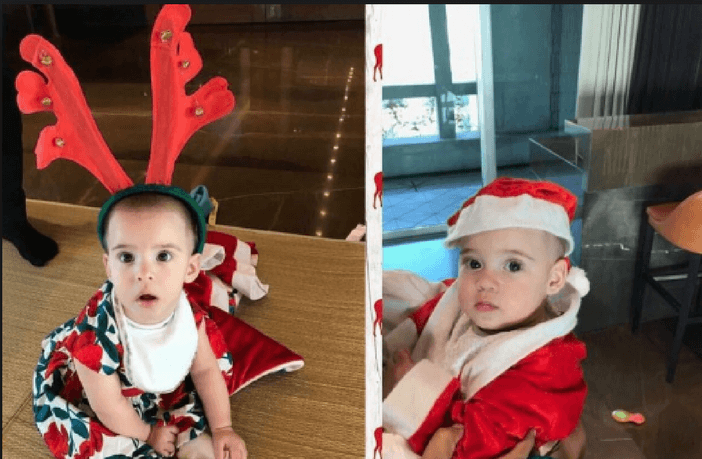 The guest list included brother Salman Khan, Soha Ali Khan, and Kunal Khemu with daughter Inaaya, Karan Johar with his twins – Yash and Roohi, Malaika Arora Khan, Arbaaz Khan, and Tusshar Kapoor with his son Laksshya. There is no denying the fact that the limelight was stolen by the tiny tots – Yash, Roohi, Innaya, and Laksshya! 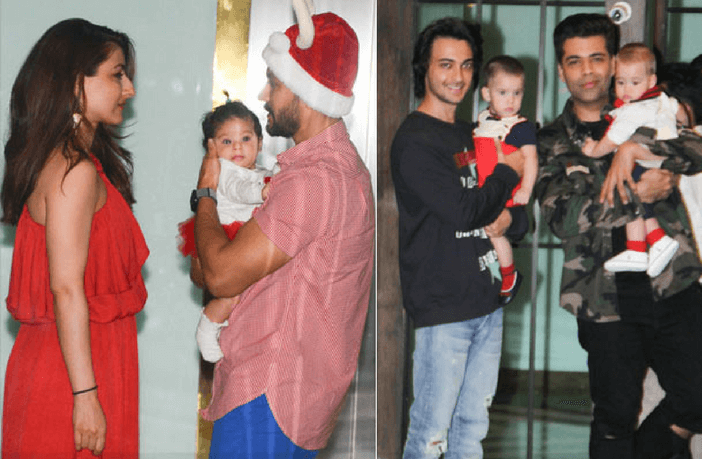 It was also actress Lisa Haydon’s son Zack’s first Christmas. Lisa gave birth to her son Zack in May this year. 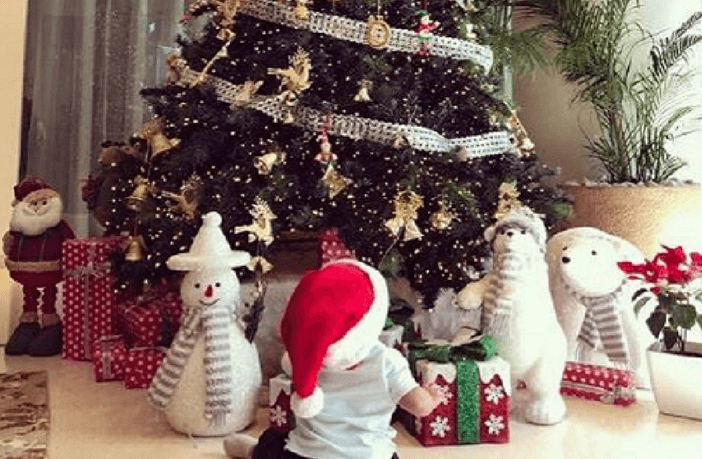 The super protective and loving celeb mother shared an adorable picture of Zack sitting in front of a beautiful Christmas tree with lots of gifts around him. His Santa cap is really cute and we really wish he was sitting the other way round, so we could see his face too!